I'm using Narga 2.0 and have noted the header images do not resize properly at 1280x600 and 1920x900. Attached please find some images from FireFox using the Inspect Element feature in Responsive Mode. The first image of 980x1280 shows the image resizing correctly, and all lower resolutions do work. The other images at 1280x600 and 1920x900 show the image reverting to a much smaller size. I have turned off header images. I would like to revert back to the latest version of Narga prior to 2.0. Can you send it to me? I'm using the Header function under Appearance in the standard menu. I'm not writing any code. Narga supports header images, but the code is not working. See the attached screen shot. . I'll try your fix. 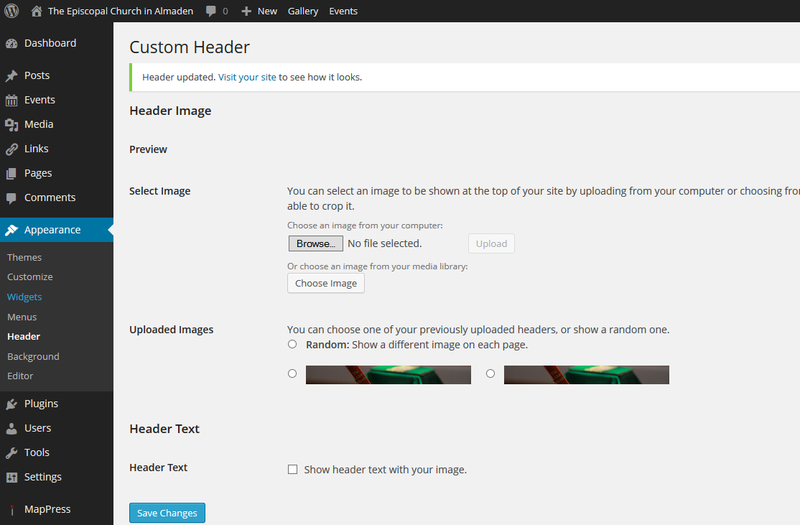 But the theme should be updated to work with standard WordPress semantics.